I spent this morning with another volunteer, walking a private property, helping the landowner by searching for a certain endangered plant. We didn’t end up finding any, but we did find a close relative of the plant. We were able to educate a few people about it, and the landowner was grateful for our efforts, so I felt satisfied we had accomplished something. As we walked in what we hoped was a grid pattern, I realized how much I have learned in the seven years since we moved to this area. I have lived in urban Houston and on the coastal prairie southwest of Houston proper, and I knew the plants of those areas, but I didn’t know many plants of this Pineywoods region. As I walked today I realized that I now know the names of almost every plant I step over, duck under, or get tangled in! After a stop at a little barbecue joint and then a resale shop, a nap and some good coffee, I spent this afternoon in the shade. Birds have been very active in a little group of trees over the past few days, and for once I got on the right side to get well-lit pictures instead of silhouettes. I spotted eleven species of birds in these four trees within an hour. 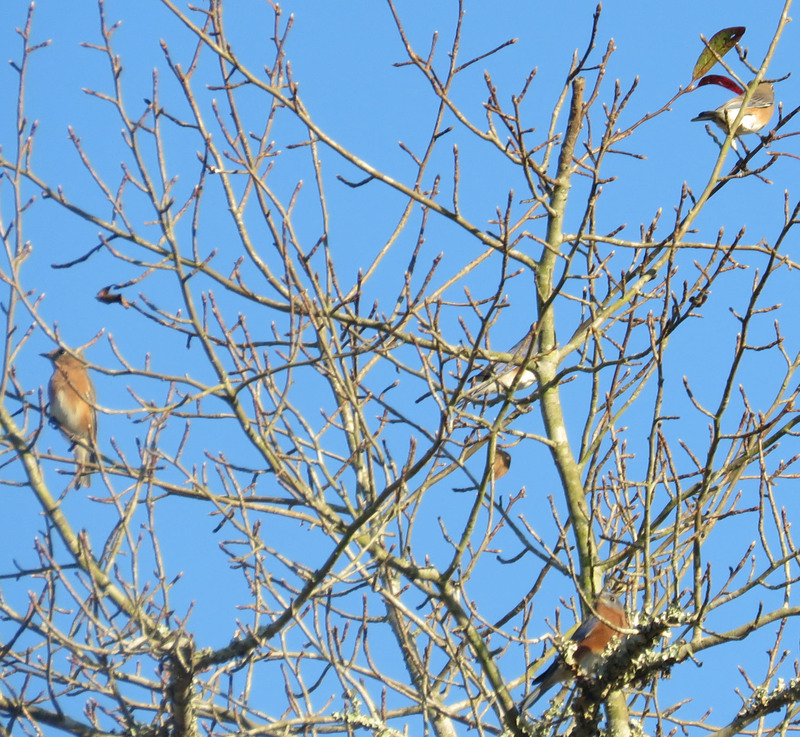 Only one of the trees has any berries, and one of the trees is dead, so I think the birds are going after insects. It is always a special treat to see mixed flocks and the birds’ interactions. 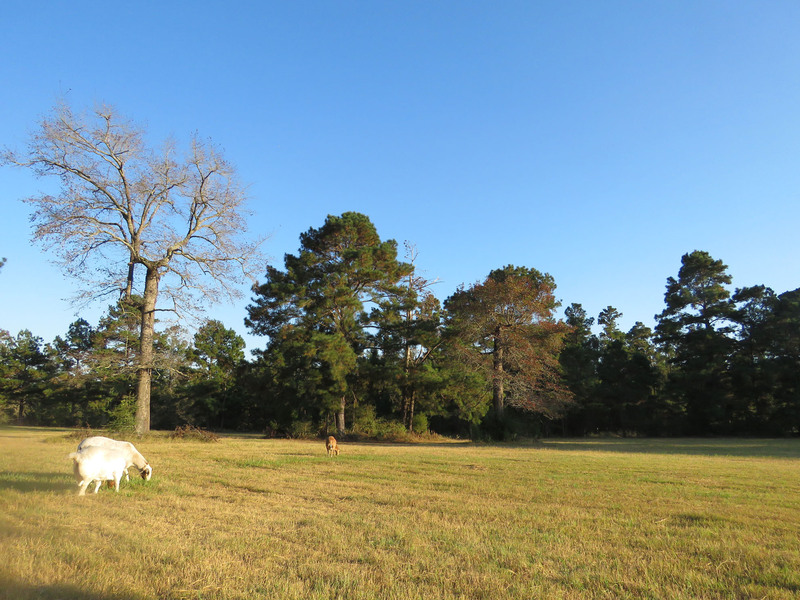 Tupelos (bare tree at left and reddish tree in center)and Loblolly Pines. 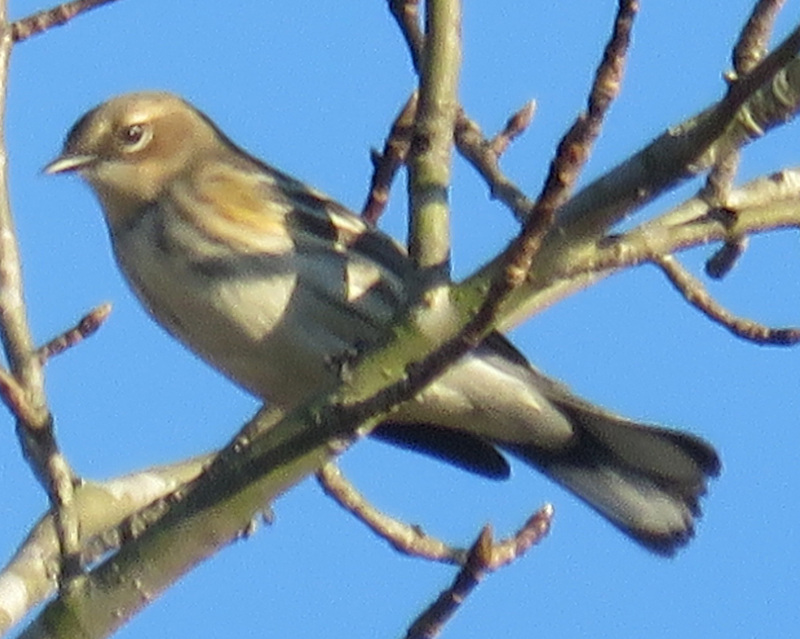 The best picture I have ever gotten of a Yellow-rumped Warbler. 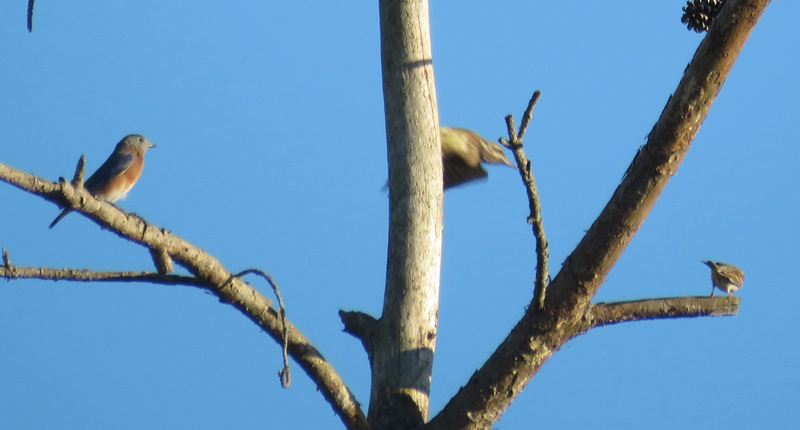 It’s blurry because I was zoomed in a lot, but it shows the bird’s features very nicely. The undertail patterns are very helpful in identifying warblers. 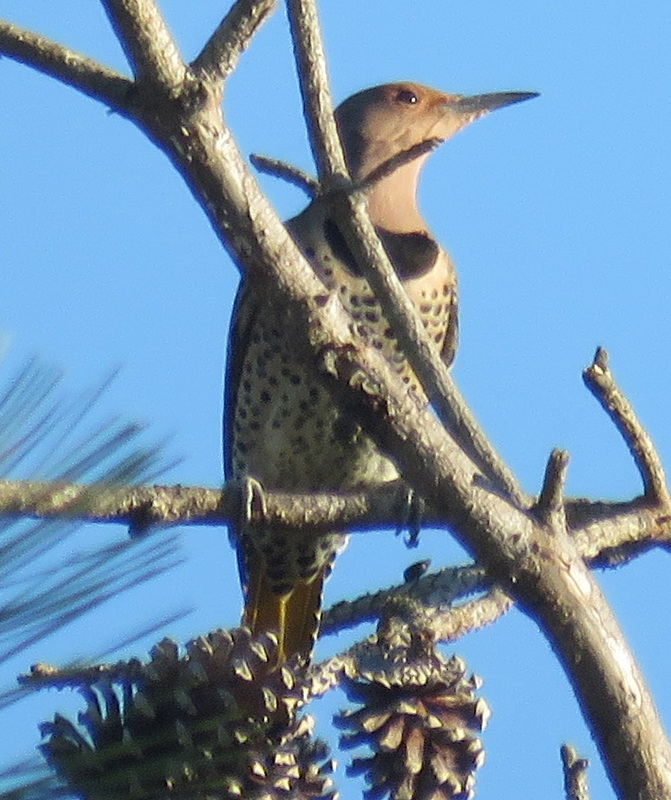 Northern Flicker. I usually see one, one day a year. Today was that day! Eastern Bluebird, Yellow-bellied Sapsucker, and what I think is a Chipping Sparrow. I have no idea if the sapsucker purposely chased the sparrow or if it was just a coincidence that the sparrow took off. It sounds like an all around nice day! You must be walking with eyes and mind open to be able to ID so many plants and animals. Good for you. I like that flicker shot. We see them regularly in eastern IA. They are cool birds. Thanks for the shots and walk-around.